Send this generous assortment of cheese & sausage to anyone who loves delicious snacking. Makes a nice thank you gift or a versatile gift for any occasion. Sausage and cheese gift baskets continue to be one of the most popular types of gourmet gifts to send. 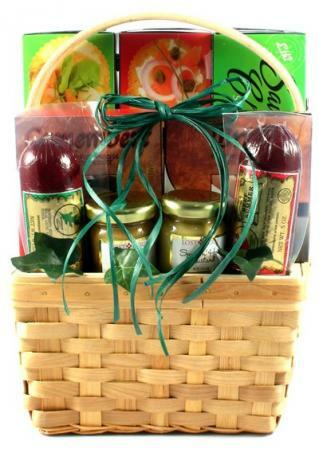 This wonderful gift offers the perfect combination of gourmet snacks at the perfect price. Great for any corporate or personal gift giving occasion.